You might have noticed that Facebook sometimes provides you with quick weather summaries. Now the company is doubling down with what is practically a full-fledged weather app built into both the desktop and mobile versions of the social network. This week the company is rolling out a few updates to help make sure you don’t get caught in the rain. Firstly Facebook will show greater detail in its local weather cards – which show up atop your News Feed – including five day forecasts. More interestingly, perhaps, is the ability to set notifications for these weather alerts so you don’t forget to bring your umbrella on the way out. 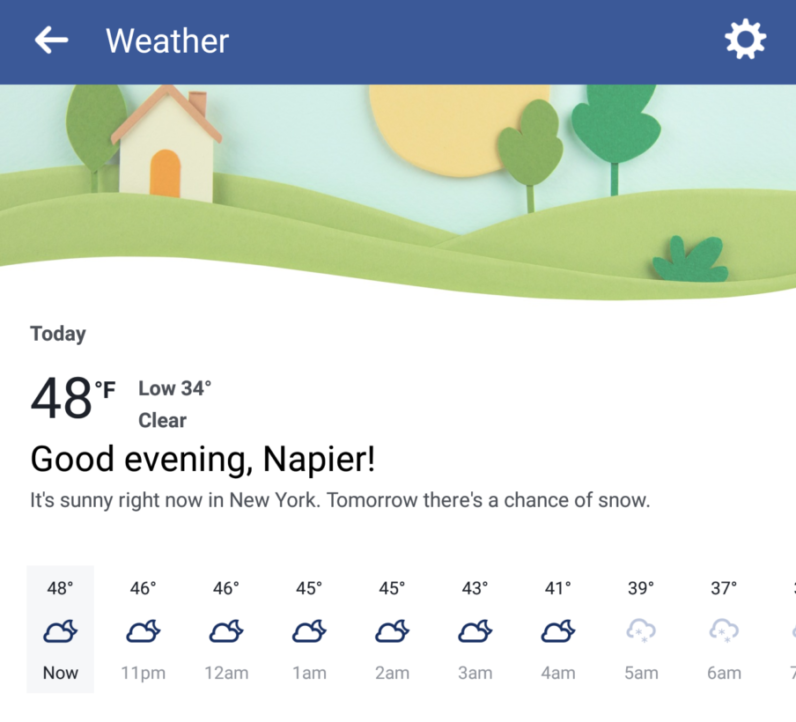 And as my colleague Matt Navarra spotted a week ago, Facebook has been rolling out a dedicated weather section on iOS app, and I’ve recently seen it pop up on Android as well. Facebook tells me a desktop analog is planned for sometime in March. But I’d actually like to see the company take things a step further and leverage its vast collection of users for up-to-the-minute weather reports, and warnings of immediately imminent rain, a la Dark Sky. Still, given checking Facebook is one of the first things many of us do with our day, I think it’s a welcome update. I don’t always remember to check the weather, so having it built into one of my most commonly used apps feels like a no-brainer.